Today, Tron (TRX) shall take center stage and many are expectant to hear some price boosting news. Already, Tron (TRX) bulls are setting the pace adding eight percent in the last day and pushing TRX back into the top ten. As that happens, IOTA might continue bouncing off 90 cents buoying bulls. Blocktivity data shows that EOS daily transactions up. July 24 bullish candlestick anchors our optimism. Overly, we remain bullish even in the midst of EOS horizontal consolidation. In line with our initial EOS trade plan, unless otherwise, we shall retain a neutral to bearish stand with the view cancelled only after EOS buyers edge past $9. From the daily chart, $9 is the upper limit of this $2 trade range and is also a buy trigger. In any case, the only way EOS bulls can set the pace for further gains is them closing above $9 while sellers would be back, snapping back in trend once they close below $7. 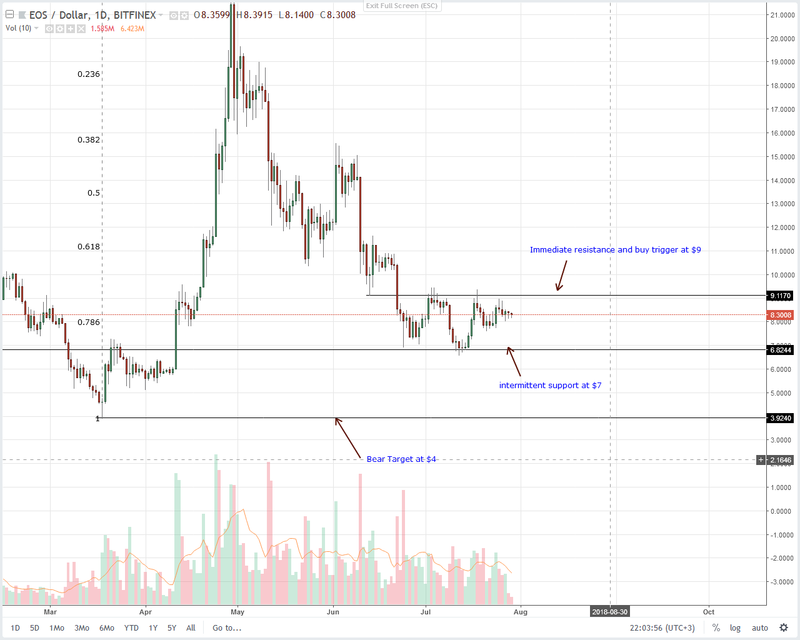 Technically EOS is trading within a bearish break out pattern following June 22 close below $9 and so, as per our trade emphasis, failure for higher highs mean the past week’s action is but retests. 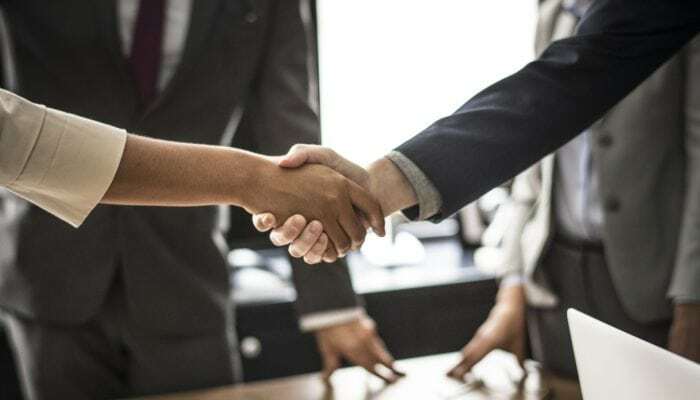 "There’s strong demand for cryptocurrencies"says Daumantas Dvilinskas, Founder and CEO of TransferGo, a London-based remittance service, has become the first remittance provider to offer a cryptocurrency trading service which include XRP!!! Germans prefer DASH coin news than Litecoin’s. Our Litecoin trade plan remains constant. 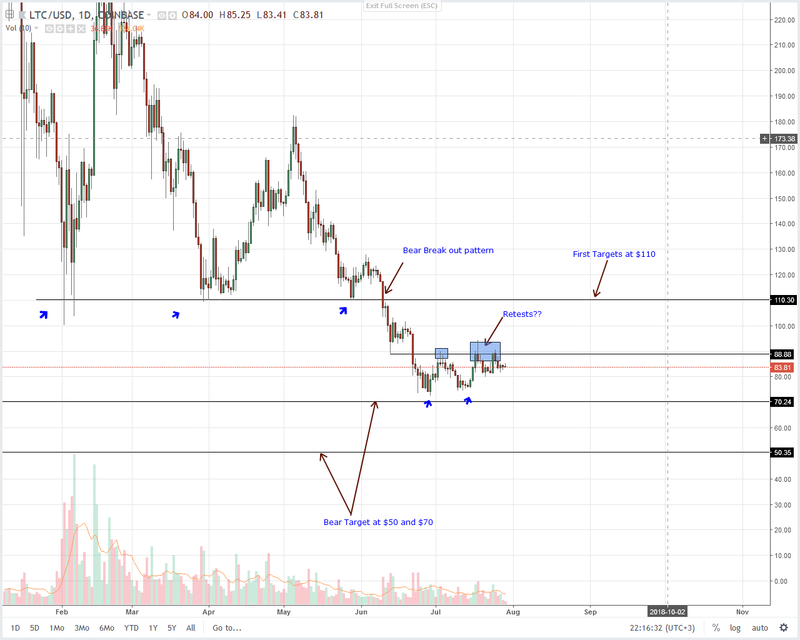 Litecoin (LTC) is technically trading within a classic bear break out pattern with June 10 high volume bear candlestick triggering that trade pattern. So, as before, we take a neutral stand cognizant with the fact that as long as LTC trade within $90 and $70 to the down side, our bears are valid. For buyers to take control, then we need price gains above our long trigger at $90 with first targets as highlighted in our previous Litecoin (LTC) technical analysis. 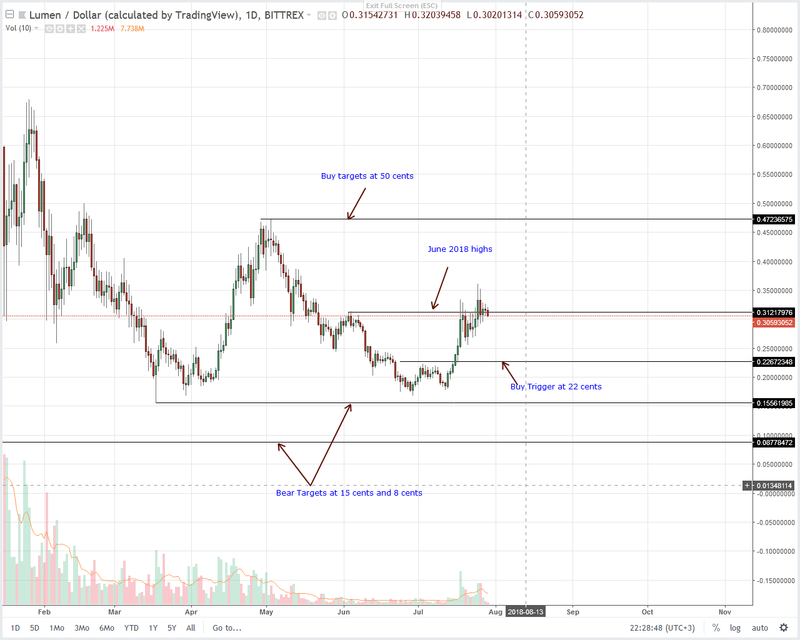 Lumens (XLM) price up 80 percent in the last month. Regardless of last week’s Stellar Lumens accumulation, XLM did register gains. As a matter of fact, it has been a wonderful month for the coin flourishing from good news and consistent high volumes. Now, from prior XLM trade plans, all we need are strong gains above July 25 highs for our conservative buy triggers to hold true. Alternatively, should we see lower lows; it’s likely that sellers will find a floor at around 25 cents. From there on, buyers can load with stops at 22 cents and first targets as laid out before at 40 cents and 50 cents. Ideally, conservative should expect high volume break above 36 cents before engaging with first targets at 50 cents. A day before their TVM launch, Tron is back to the top 10 and up eight percent in the last day. With the decent gains, TRX is poised for more gains in line with July 24 bulls in a perfect effort vs result clash. While bears are technically in charge, any good news would push prices towards or above our first TRX buy targets of 5.5 cents. 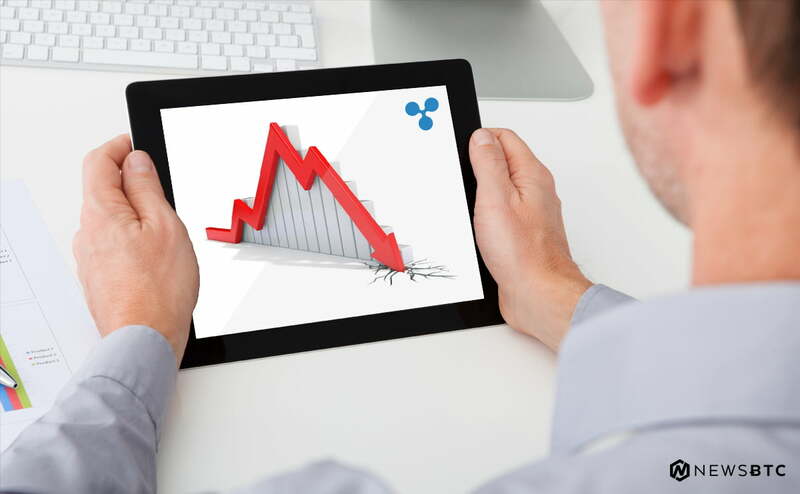 Otherwise, and as set out in our last Tron (TRX) technical analysis, any sub-par partnership might see a high volume drop below 3.2 cents and towards 2.5 cents. Either way, it seems like buyers have an upper hand and today my suggestion is to buy as our previous Tron trade plan dictates with stops at 3.2 cents with first targets at 5.5 cents. As before, 90 cents which doubles up as our main support line and 2018 lows anchors our analysis. 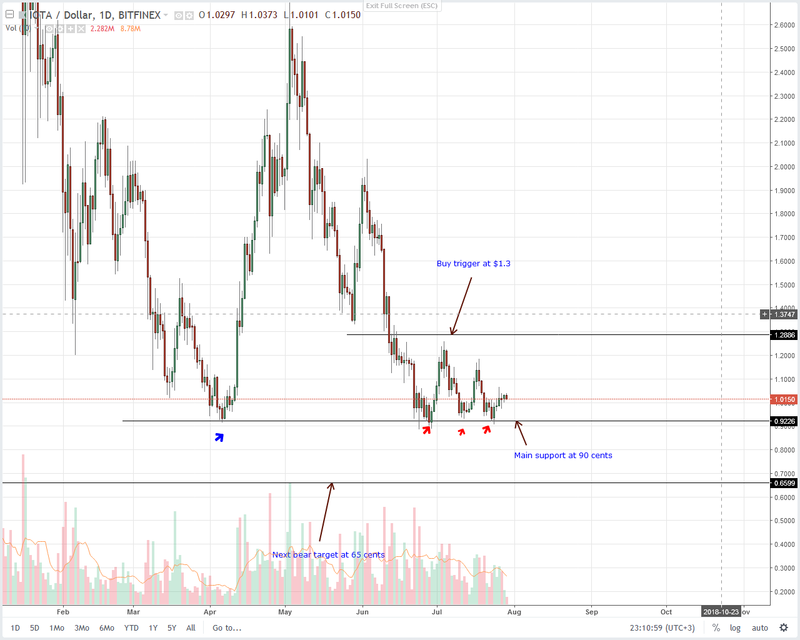 Before the weekend, our trade suggestion was to buy IOTA at spot rates with stops at 90 cents as buyers reject further price depreciation forming that triple bottoms. In any case, we shall take advantage of this revival and like most coins, our first targets which is also a main resistance line and former support at $1.3 shall be our level of interest. 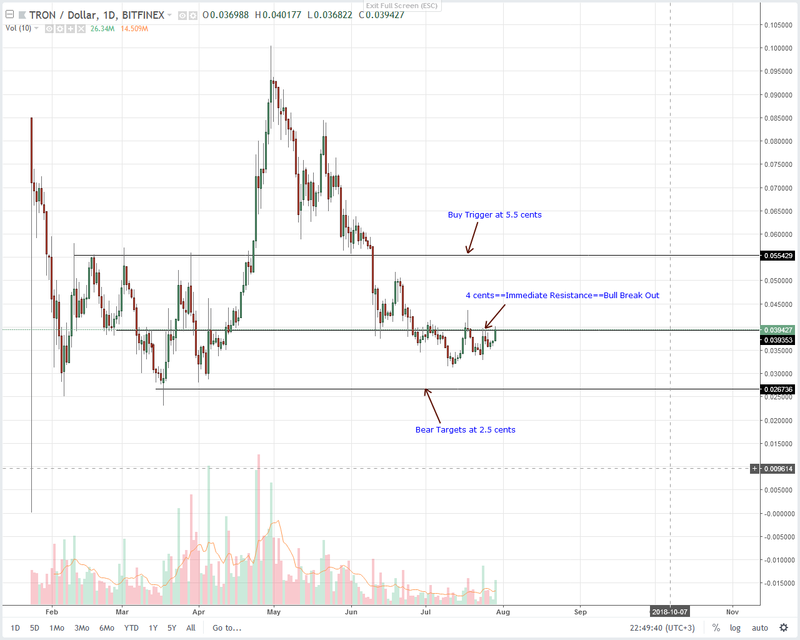 Remember, like most coins under review, IOTA is trending within a break out pattern and so for buyers to be truly in charge according to our last IOTA price forecast, conservatives need to see strong gains above $1.3 or July highs.